Joseph’s early life is a perfect fit to this sort of beginning. Joseph Smith, the young farm hand whose strong body is hired out for his labor, but has very little room for upward mobility in his life. From all outlooks, his best hope is to become a farmer like his father, if he can escape the crushing dillemmas and ill twists of fate that kept his parents from escaping the constant threat of crushing poverty. Like Luke Skywalker in the beginning of Star Wars, King Arthur as a lanky squire, or an obscure carpenter’s son from Galilee, Joseph Smith at first glance would be an unlikely figure to make any sort of impact on the world around him. Yet despite these unlikely beginnings Joseph Smith, like the most interesting of Heroes, has a complex and introspective inner world, and when we really launch into his narrative, we find him as a young 14 year old pondering the contradictions of the religious drama playing out around him. Church contending against Church, pastor against priest, all vying for the attention of parishioners, all claiming the truth to get more sheep in their fold. Who of all these Churches were right, asked the young Joseph. Joseph finds guidance in the Bible’s book of James, which tells the young man to ask of God. In a grove of trees he prays, and is first attacked by an unseen, sinister force, but is delivered by a peaceful, light filled vision. The light is so bright that he thinks that the leaves are going to catch fire. In this light, he sees two figures, God the Father who then introduces Joseph to his Beloved Son, Jesus the Christ. And Joseph’s first call is delivered: he is to join none of the Churches. The call has not yet necessarily been defined in its particulars yet. There is yet no mention of the Book of Mormon, priesthoods, Joseph’s role as a prophet, or establishing Zion. Yet Joseph has been made separate, set apart from the world’s apostate religions, who draw near to him with their lips, but are very far from him in their hearts. He is to prepare himself for something else, a new journey. REFUSAL OF THE CALL: In the Hero’s Journey, the hero initially shows some reluctance about his new role or mission. Like Muhammad questioning the validity of the angel coming to him, or Bilbo Baggins thinking a mission about thieving, gold, and dragons strays too far from his comfort zone of the Shire, the Hero shows some reticence to pry himself from the world he has known. Joseph Smith goes through a similar period after the First Vision, where he falls back into a circle of rough, boisterous friends, and is more concerned about the small doings of this laughing pack, than the more universal vision he has been given. Having been persecuted and separated from the religious herd, he is accepted by familiarity of undiscerning, non-judging friends, who may have been the force to lure him into treasure digging. Joseph is becoming aware of supernatural, prophetic gifts through the use of seer stones, which he uses in the search of treasure with his father and the local crowd. But this was not his mission, and in his heart Joseph knew it. A life of unsastisfied greed, alcohol, indolence, and irreverent laughter being his only relief from the otherwise strenuous day to day work he was engaged in, it was all a far cry from what he had been set apart for. He was straying, and if he lost sight of his quest, he may be swallowed up by this comfortable, unstrenuous, familiar world forever. SUPERNATURAL AID: Once the hero finally commits to the quest, Campbell tells us that a magical or supernatural guide appears to assist them in their quest, often giving the Hero magical objects or talismans to assist them. Again, this comes straight in line with Joseph Smith’s narrative. Joseph becoming painfully aware of his failings and sins in falling in with this wrong crowd and their less than pure treasure seeking. He prays and seeks a divine manifestation, as he had received before, to know of his standing before God. To his astonishment, the Angel Moroni appears in his bed room, giving him instructions to prepare him to receive and translate the Book of Mormon. Much like Merlin, Gandalf, or Obi Wan Kenobi, Moroni acts as Joseph’s guide and teacher, tutoring him and preparing him for the next several years before he receives the sacred talismans to add to his seer stones: the gold plates of the Book of Mormon, the Urrim and Thummim, Laban’s sword, etc. These are to be his Excalibur, the gifts bestowed by the elves upon the Fellowship of the Ring.Moroni would not be Joseph’s only supernatural aid to assist him in his quest. John the Baptist and then Peter, James and John the Beloved would arm him with powerful priesthoods. They are baptized and receive the Holy Ghost. Moses, Elijah, Elias, and Christ would give him the keys to usher in this new dispensation. Angels would continue to assist, even with difficult and trying principles, such as polygamy. Although God asks what may seem to be impossible tasks, yet he did not leave Joseph without aid. Through these Supernatural Aids, Joseph’s mission also becomes more crystalized. His role as a prophet and a seer is defined, he is told about Zion and asked to try and establish it, he is instructed to carry out the Restored Gospel, and to baptize and confirm the Holy Ghost upon the nations. Through the priesthood, he is asked to begin the sealing of the human family, to begin the work that will eventually bind us all together. Joseph’s mission is a boon for all mankind, an eternal work with everlasting consequences. THE CROSSING OF THE FIRST THRESHOLD: There is a point in a Hero’s Quest where they must move past all they have previously known and venture past the limits of their secure world into this larger, more dangerous world. Like Frodo and Sam moving past the limits of the Shire for the first time in their life, they finally let go of those last trappings of security and move into a wider world. For Joseph Smith, this is when Joseph Smith and his followers are driven out of Palmyra and Colesville, New York, and move to Kirtland, Ohio. Here they start fully engaging in the quest they are asked to fulfill. They build a temple to God and bestow its initial ordinances, start gathering the Saints through missionary work, begin spreading the Book of Mormon and the Restored Gospel, and identify Zion in Missouri. BELLY OF THE WHALE: Continuing on with Campbell’s monomyth, there is a point in our hero’s quest where he is completely enveloped by this strange, new world, often literally swallowed by it. In some stories like the Biblical Jonah, Pinnochio, or Finding Nemo, the protagonist is literally swallowed by a whale. In other cases, it is more figurative, as in Lord of the Rings when they travel through Mount Moria. This is a point of no return, and often is a dark point for the hero where they have to become introspective about what brought them to this point and how they are going to survive from here on out. In a sense, it is here that the hero figuratively or literally dies, only to re-born. In Missouri we have find Joseph at such a point, where the Saints are driven from Jackson County, then end up in Far West are once again sieged upon. Many of the Saints are pillaged, raped, and murdered (Haun’s Mill being an extreme example of these persecutions). An extermination order is given against the Mormon religion by Governor Boggs and eventually Joseph Smith and some of his closest associates are arrested by the Missouri Militia in an act of betrayal by one of their own and duplicitous acts by their enemies. Joseph Smith and his associates are then carted off to the dank, cold, and cramped quarters of Liberty Jail. Liberty Jail has become an iconic location for Mormons, acting as Joseph Smith’s closest proximity to Gethsemene. It is Joseph’s whale, a prison being an ironically fitting place for a hero to end up. Christ, Martin Luther King, Jr., Joan of Arc, Joseph of Egypt, among many other larger than life figures have a strikingly similar moment of unjust imprisonment by this threatening world, and it has a strikingly similar effect on all of them. A time of soul searching, introspection, hardship, revelation, and most importantly… transformation. It is here that Joseph Smith receives the maginificent Doctrine and Covenants 121 through 123, and it is here that Joseph Smith makes a major shift in his life. Having survived a hellish ordeal where many expected him to be executed, he emerges more confident, less reliant on associates such as Oliver Cowdery or Sidney Rigdon who he has discovered, despite their gifts, were much less reliable than the inner vision which God placed within him. Less reliant on men, more reliant on God, Joseph Smith (much like Gandalf after Moria, or Jonah after the whale) was a new man. THE ROAD OF TRIALS: Throughout many points of the Hero’s story, there will be trials which they have to overcome to achieve their goal or destination. A steadily increasing series of problems and adversaries crop up before any final confrontation or conclusion can be faced. 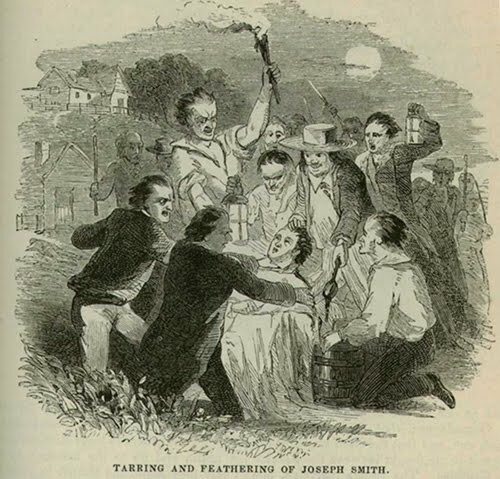 In Joseph Smith’s life the examples are too numerous to list completely (the man knew something about opposition) but a short list of these trials include the attempts to steal the gold plates from Joseph; the loss of the 116 manuscript pages of the Book of Mormon; Joseph Smith and Sidney Rigdon being tarred, feathered and beaten (an indirect consequence which was the death of one of his adopted twin children); constant legal harassement and persecution; the Financial Crisis with the Kirtland Bank; the Kirtland Apostasies and their attempted coup of the Church; the falling away of the three witnesses; Zion’s Camp; the betrayals of Orson Hyde, Thomas Marsh, and W.W. Phelps; the expulsion of the Saints from Jackson County; the deaths of so many of his children and other family members, such as his brothers Alvin and Don Carlos, and his father; his family’s and his people’s often crushing poverty; the Fall of Far West; the widespread Malaria in Nauvoo’s beginnings; the Warsaw Signal; the storm surrounding polygamy, including William Law and the destruction of the Nauvoo Expositor; the vacillating loyalty of Sidney Rigdon; and of course the long road leading to his martyrdom in the Carthage Jail. Every step of the way, Joseph Smith was opposed, the hounds of hell pursuing him. Yet he braved onward despite great personal loss. When one chronicles the long list of suffering in his life in consequence of his commitment to his quest, one does not see the acts of a two faced charlatan, but rather the determination of the epic hero. THE MEETING WITH THE GODDESS: In a great many stories, there is the goddess figure,whether a literal goddess (often a maternal or mother goddess) or a romantic other, that the hero receives a boon of love from, whether romantic, maternal, or otherwise. Lord of the Rings actually has both, with Frodo’s meeting with Galadriel fulfilling this requirement, while Aragorn’s nearly mystical relationship with and eventual marriage to Arwen also constitutes this aspect of the myth. This aspect of the narrative has all sort of interesting corrolaries with Joseph Smith’s story. His wife Emma is an obvious example one can cite. Despite the strain that their relationship suffered due to the epic difficulties attached to the revelation on polygamy, Joseph and Emma shared an intense and legendary love. The Prophet and the Elect Lady’s relationship survived a host of strains that would have completely obliterated most human relationships. It is even more interesting when one reads some accounts where the claim is made that Moroni is reportedly to have been the one to lead Joseph Smith to Emma Smith, after his brother’s Alvin’s death required him to find a new helper with the Book of Mormon (if I remember correctly, my source for that tidbit was in D. Michael Quinn’s Joseph Smith and the Magic World View). This concept is doubly re-enforced when one considers the Mormon doctrine of Eternal Marriage and Temple sealing and the repercussions that creates with this stage of the pattern. And if one is bold and comfortable with 19th century polygamy, one can even include Joseph Smith’s polygamous wives in this step. 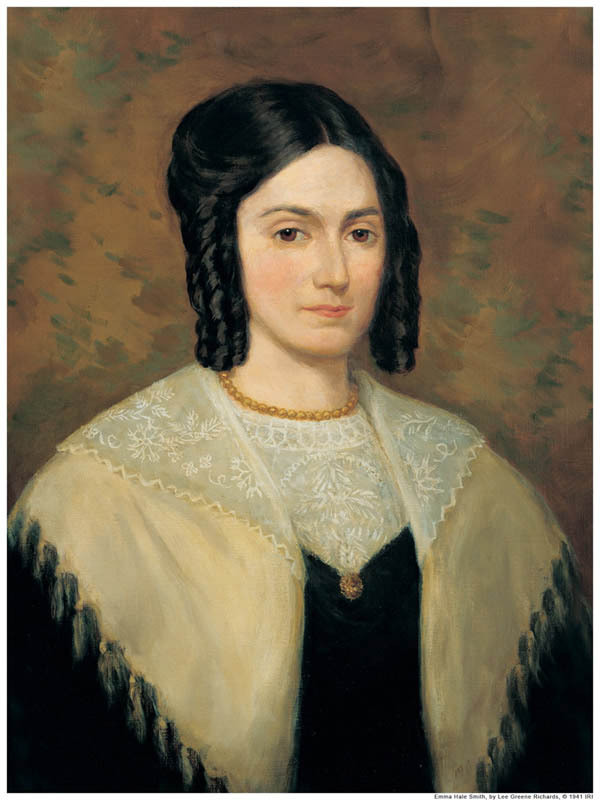 Joseph’s own mother Lucy Mack Smith could also easily fulfill the maternal aspect of this role, as she was always a supportive and prominent figure of love in Joseph’s life. Yet the connection does not end there. Joseph Smith revitalized the concept of a Heavenly Mother, which was very foreign to Western, 19th century Christianity. A female wife or partner to the male Yahweh and/or Elohim has deep roots in Judeo-Christian thought, especially with the Hebrew goddess Ashera, consort of Yahweh. After King Josiah’s purge of the recognition of Ashera in Hebrew religion and the Jews’ ever increasing monotheism, recognition of a Heavenly Mother was all but obliterated in Judeo-Christian religion (for a really detailed hypothesis of this process, look up some of Margaret Barker’s amazing work on the Old Testament, including. Barker’s not a Mormon, but she sure sounds like it sometimes). Joseph Smith, however, recognizes a Heavenly Mother as part of the oneness of God. This puts a very literal stamp on this phase of the Hero’s Journey, as Joseph Smith brings the male and female into greater unity in Mormon theology. In this way, Joseph Smith certainly experienced the love of his Heavenly Mother. WOMAN AS TEMPTRESS: In the Hero’s Journey, there is a force or a figure that tries to lure away our hero from his goal with various temptations. This figure is often personified in a woman (Homer’s The Odyssey famously has the sirens and the nymph Calypso who fulfill this role), but does not necesarily have to take a female form. For example, the obvious source of malevolent temptation in the Lord of the Rings is the ring itself, in Star Wars Emperor Palpatine and the Dark Side of the Force fulfills this, and logically Satan plays this role when he tempts Christ. If I weren’t a faithful Mormon (or at least had a more RLDS worldview), it would be easy to identify polygamy as Joseph Smith’s “Woman as Temptress,” but as I believe Joseph was not a fallen prophet in this (or any) instance, and that he was not misdirected with his and his contemporaries practice of polygamy during their commanded time, such a hypothesis doesn’t work for me. However, there are plenty of other occassions when Joseph Smith is tempted. Martin and Lucy Harris play this role with the lost 116 pages of the manuscript of the Book of Mormon , while the angel Moroni warned Joseph that he would tempted to use the gold plates as a means of getting rich (his early treasure seeking, and the Lord’s repudiation of it, could easily be applied here). Joseph Smith eventually overcame these tempatations, but they caused great havoc in his life and nearly jeopardized his quest. Fortunately, with the aid of Grace, he was able to fulfill his quest despite dark lures. 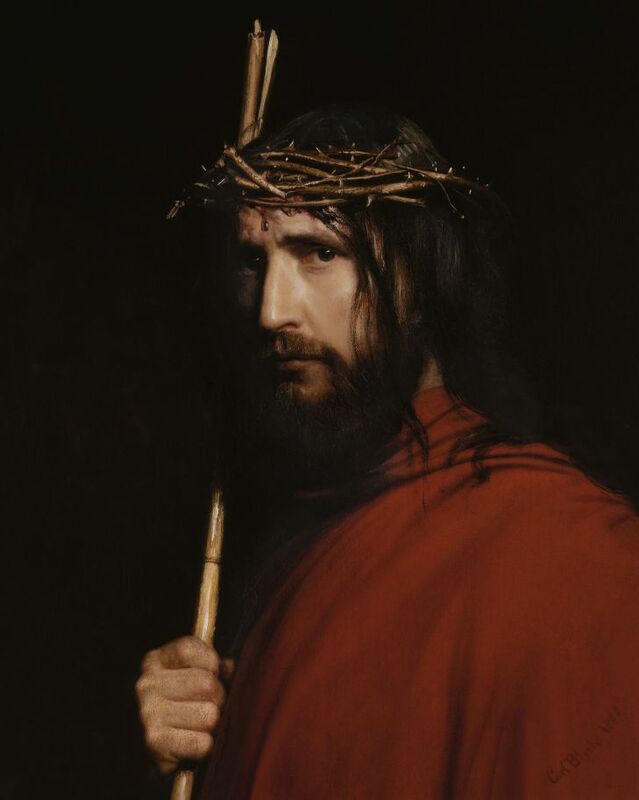 ATONEMENT WITH THE FATHER: Eventually our Hero in his Journey must confront a figure that holds great power over his life, and must either defeat it, be redeemed by it, or in some cases both. This is often a father figure, as we find in Darth Vader, but does not necessarily need to be. It could be a malevolent force, but more often it is a misunderstood positive force. Either way, our Hero must come to terms with it and emerge changed again because of facing it. Again, as with Meeting with the Goddess, this has multiple levels of meaning in Joseph’s life. It can be taken literally with Joseph’s father Joseph, Sr., who Joseph in many ways redeems because of his revelatory solution to his father’s earlier religious difficulties of feeling desires to be connected to God, but having a natural dislike of and distance from organized religion. Joseph Sr. was also redeemed by his son, having his dignity was restored (after bouts with alcoholism, constant financial difficulty, and treasure seeking) by being baptized by his son and made the Church Patriarch (for a very interesting view on this process, see Richard Bushman’s Joseph Smith: Rough Stone Rolling). But that is the son redeeming the father, like Christ and Adam, Joseph of Egypt and his family, Luke Skywalker and Darth Vader. In a Mormon worldview, it is much more important for the son to be redeemed so that he come into the presence of the Father. In fact, this is the prevailing goal of all Mormons, reflected nowhere better than the divine drama acted out in LDS temples. Mormons are prepared to meet with the Father because of of the redemptive power of the Atonement (there’s that word again) of Jesus the Christ, the Anointed One, the Savior. And its that chasm that Joseph was trying to breach when calling upon God in the Sacred Grove before the First Vision, as he was trying to find that redemption again when he called upon God in his bedroom before he received the visitation of the angel Moroni. He was striving for redemption, for re-connection to his Spiritual Father Christ, and his Heavenly Parents, Elohim. 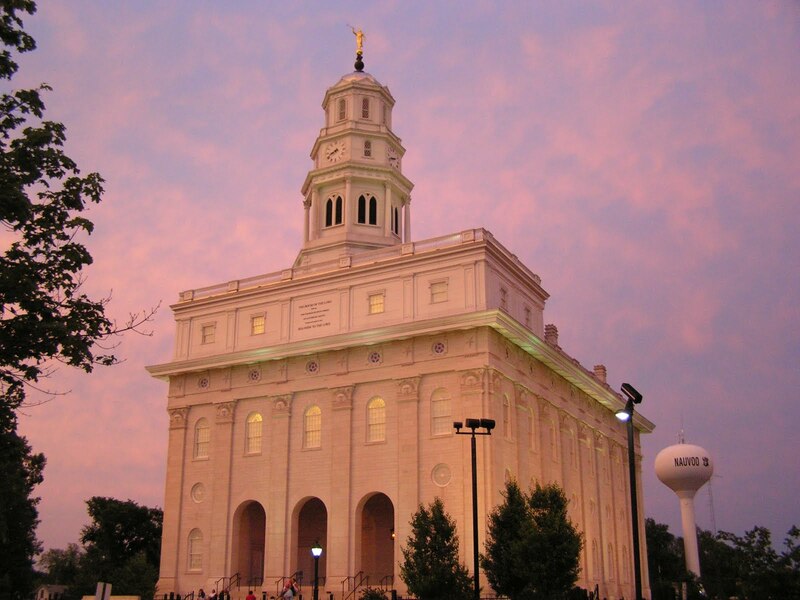 So the building of the temple in Kirtland and then Nauvoo is Joseph’s most prominent example of his Atonement with the Father. In that holy building, the human drama is acted out, the hero’s journey is experienced by every Latter-day Saint, and it always ends with being ushered back into the presence of the Father. And in Joseph’s life, this was all his prophetic mission was pointing to, not only receiving his own redemption from sin, but helping carve a path out for others’ to receive of that same atoning blood which would bring them back to their Heavenly Parents. APOTHEOSIS: This is the death of the hero, often a literal one, but because of that death a great change happens to them, and as they died in the flesh, they now live in the spirit. Through this death, the Hero finds bliss, enlightenment, and love. This is Christ’s death and resurrection, Hindu and Buddhist Nirvana, this is Frodo sailing off on a ship with elves to a land of peace. 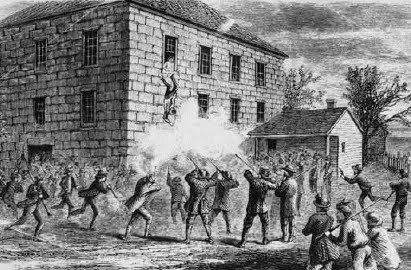 In the case of Joseph Smith this of course happens with Joseph Smith’s martyrdom at Carthage Jail. Having tried to escape it at first, heading to build the Saints up in the Rocky Mountains, Joseph Smith then willingly chooses death as a way to save his people from the mobs that are brewing. “I am going as a lamb to the slaughter, but I am as calm as a summer’s morning,” Joseph said, having achieved that peace about all of our inevitable mortality… and then our subsequent immortality. When the angry and fearful mob shot him in Carthage Jail, and he fell from that second story window, his ascencion and transformation was imminent. ULTIMATE BOON and THE CROSSING OF THE RETURN THRESHOLD: In the Hero’s Journey, there is an ultimate prize or accomplishment, the reason for the quest. Once that is achieved, the Hero has received what they came for. The mind of man is as immortal as God himself. I know that my testimony is true; hence, when I talk to these mourners, what have they lost? Their friends and relatives are separated from their bodies for only a short season; their spirits existed coequal with God, and they now exist in a place where they converse together, the same as we do on the earth… I take my ring from my finger and liken it unto the mind of man, the immortal spirit, because it has no beginning. Suppose I cut it in two; as the Lord lives, because it has a beginning, it would have an end… if I am right, I might with boldness proclaim from the house tops that God never did have power to create the spirit of man at all. God himself could not create himself. Intelligence exists upon a self-existent principle; it is a spirit from age to age, and there is no creation about it. Moreover, all the spirits that God ever sent into the world are susceptible to enlargement. And so this boon of Joseph Smith’s is, after all, truly an “ultimate” boon. It is godhood. 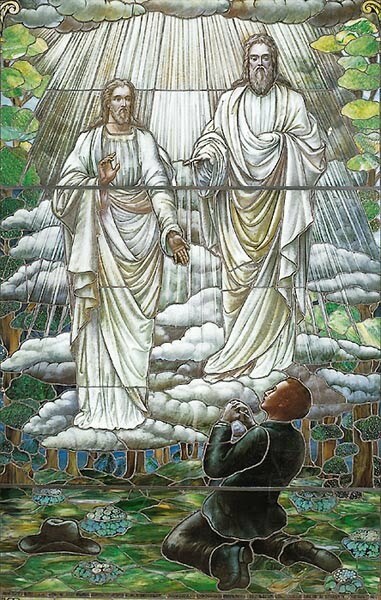 But unlike Lucifier, the Son of the Morning who sought to overthrow God and take his place, Joseph Smith was not commanded to take a high place and make everyone else subservient, but rather Joseph Smith was commanded to deliver this revelation of communal exaltation to all mankind. It is not a prideful, selfish upward conquering that Christ taught us here. It is Elohim, the Hebrew word used in Genesis for plural gods, or a council of Gods. It is the City of Gods, a Society of Gods, a Universe of Gods, the ultimate fulfillment of Zion. All who desire to partake and sacrifice for each other are truly equal, not equal in poverty, but equal in glory. And in true Hero’s Journey fashion, this is the message that Joseph Smith was meant to return from his journey and deliver the ultimate boon to all mankind, like Bilbo desiring to share the gold rather than hoarding it like the dwarves. God wasn’t small and selfish who hoarded his knowledge and ability like some medieval dictator, or like the dragon Smaug. Rather God has many mansions, an infinite number if needed, to fill up with his children and to share his glory. There is more to the Hero’s Journey which I also believe applies to Joseph Smith (especially the steps “Master of Two Worlds” and “Freedom to Live”) but I’ll stop there and instead simply ask you to reflect upon this Universal Story. In the words of Joseph Smith, I say “this is good doctrine. It tastes good. I can taste the principles of eternal life, and so can you.” There is a universal story echoing in all of us, a common unconsciousness, and if we hear it we become like the sheep who know their Savior’s voice. Interesting post. You’ve certainly added depth to Joseph Smith by comparing his life with the hero’s journey. I am more of a lurker here, but your two posts on this subject have drawn me out of the shadows. I am still learning about things like The Hero’s Journey–previous to being published and attending writers conferences, I had never heard the term before. Or, if it was discussed long ago in a high school English class, I must have been sleeping. Your posts have been fascinating reads . . . some of the best I have seen on the subject of the Journey, primarily because of all of the examples cited. So now that you have pointed it out, I completely agree with you about Joseph Smith’s life being a perfect example of the model. He truly was the Hero! These two posts are definitely keepers, carefully saved in my files now. Thanks so much! A terrific examination of this pattern, and very appropriately applied. As a writer, I find this particularly interesting in terms of literary themes and plotting with fictional characters. Thank you Mahonri for a great couple of posts! Off-topic. Deseret Book says they will not carry James Dashner’s new nationally published young adult novel, The Scorch Trials. Note that Shadow Mountain publishes Dashner’s other ongoing series, The 13th Reality, including the 3rd volume, which came out in Spring 2010. “This latest book from James Dashner contains language some of our customers would find offensive, as this book is targeted to teenagers,” said Gail Halladay, managing director of marketing at Deseret Book. “We must be careful with all the books we bring in, and we look very closely at the language in the books we carry.” Dashner declined comment on the decision, as did Random House Children’s Books, said publicist Emily Pourciau. Next Next post: In the footsteps of Stephenie Meyer?